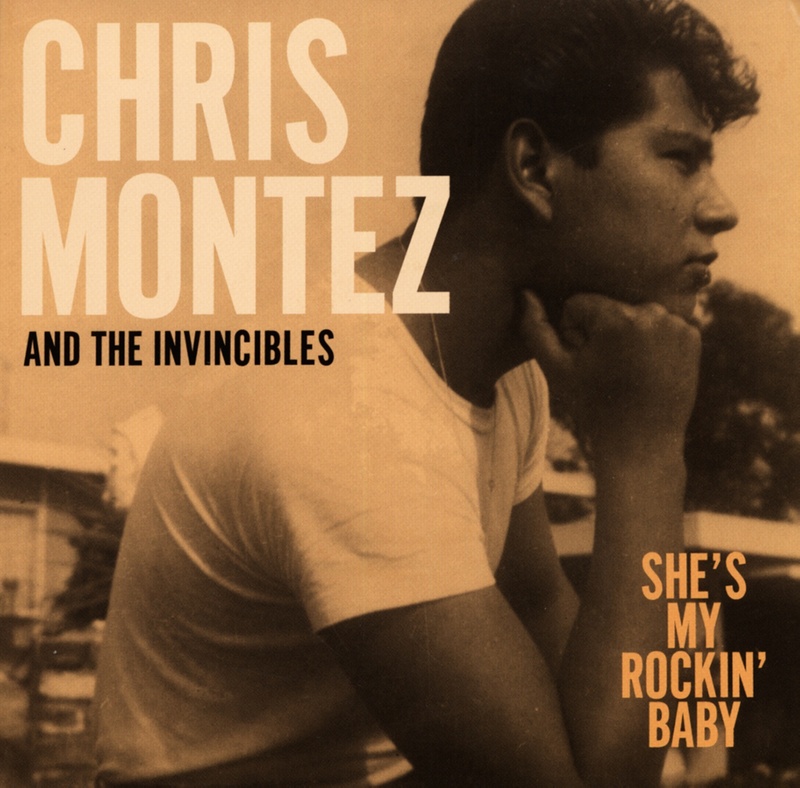 recordings of Los Angeles teen hitmaker Chris Montez. born Jan. 17, 1943, in Los Angeles, attended the same school in Hawthorne, California, as the Beach Boys. He made his first record, 'She's My Rocking Baby' at 17, in 1960. After graduating in 1961, he met Jim Lee, a young writer-producer working at Indigo Records in Holly-wood. Leaving Indigo, Lee formed Monogram Records around Montez, whose first record for the label, 'All You Had To Do Was Tell Me' (a duet with Kathy Young) became a local hit. The sequel, `Let's Dance', sold a million late in 1962, as did the follow-up, `Some Kinda Fun' (al-though it only reached No. 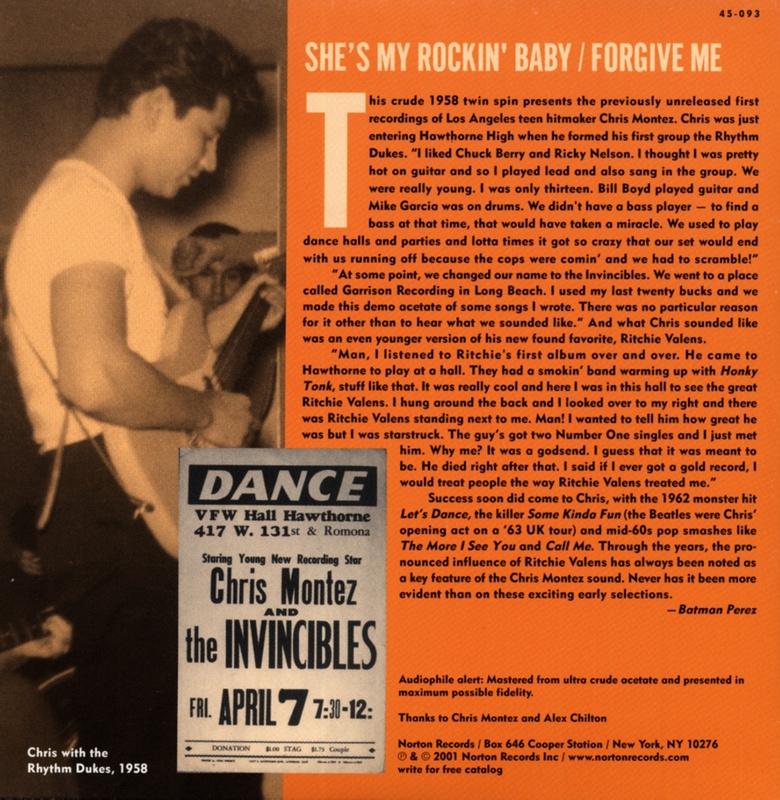 43 in America), and Montez toured Britain with Tommy Roe early in 1963, headlining over newcomers the Beatles. Montez's subsequent releases flopped and in 1964, Jim Lee abandoned the label to pursue a singing career. Montez came back on AM in 1966 with `Call Me' and 'The More I See You', both sung in the coy middle-of-the-road style he still practises today. Customer evaluation for "She's My Rockin' Baby b-w Forgive Me 7inch, 45rpm, PS"